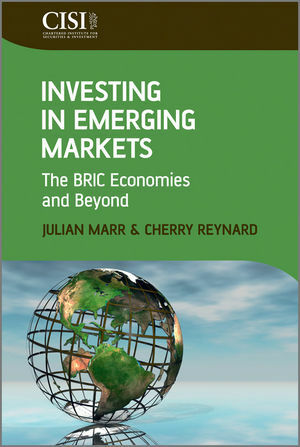 Investing in Emerging Markets: The BRIC Economies and Beyond offers a fresh, clear-eyed and objective look at an area that can only grow in importance over the next decade. It balances a realistic appraisal of the opportunities on offer from the emerging markets with a pragmatic assessment of the potential pitfalls facing investors, in the process providing an accessible introduction to newcomers and more experienced investors with a valuable and compact point of reference. Julian Marr is a freelance investment journalist and weekly columnist for a number of financial publications and websites. He has also held senior positions with a range of specialist and personal finance titles, including editor of Bloomberg Money and editorial director of Investment Week. He began his career as a solicitor in the City but that really was a long time ago. Cherry Reynard is an award-winning freelance journalist. She has written for a broad range of national, consumer and specialist financial media, including The Telegraph, The Independent, What Investment, Morningstar and Institutional Investor. She began her career as an accountant with PricewaterhouseCoopers and has also worked for JP Morgan. 2 The Investment Case for Emerging Markets – A Balanced View. 3 New Schools of Thought – Hype or Reality? 5.3 Hong Kong – a Brief Economic History. 5.4 Singapore – a Brief Economic History. 5.5 South Korea – a Brief Economic History. 8.4 Mexico – a Brief Economic History. 8.5 Argentina – a Brief Economic History. 8.6 Chile – a Brief Economic History. 9 Emerging Markets – The Final Frontiers. 10 2020 Vision – The New Economic Order?